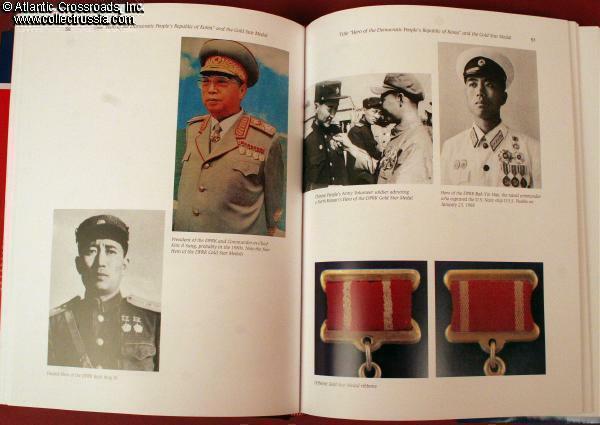 "Military and Civil Awards of the Democratic People's Republic of Korea (DPRK) ", Warren Sessler and Paul McDaniel, C 2009. 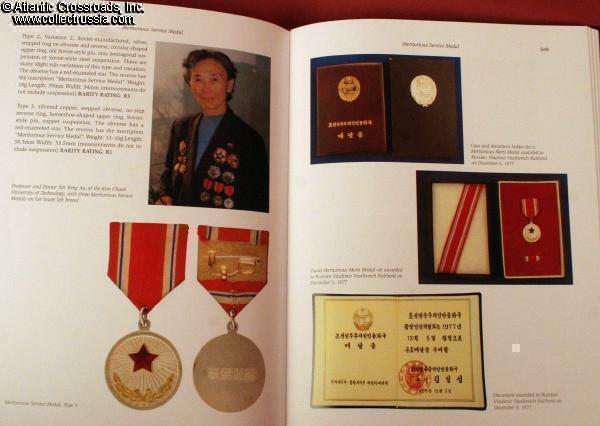 "Military and Civil Awards of the Democratic People's Republic of Korea (DPRK) ", Warren Sessler and Paul McDaniel, C 2009. 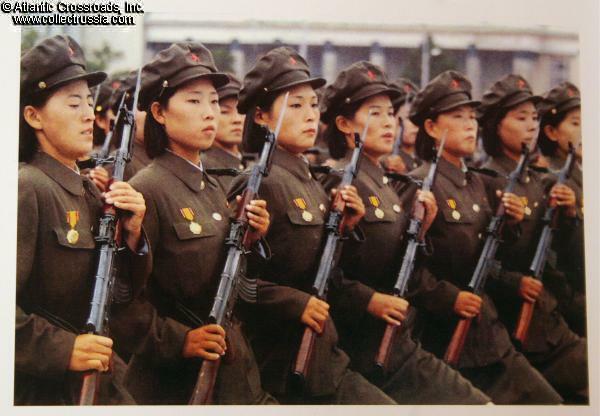 ENGLISH text, 406 pages, large 12" x 9" x 1 6/8" thick hardcover format with dust jacket. 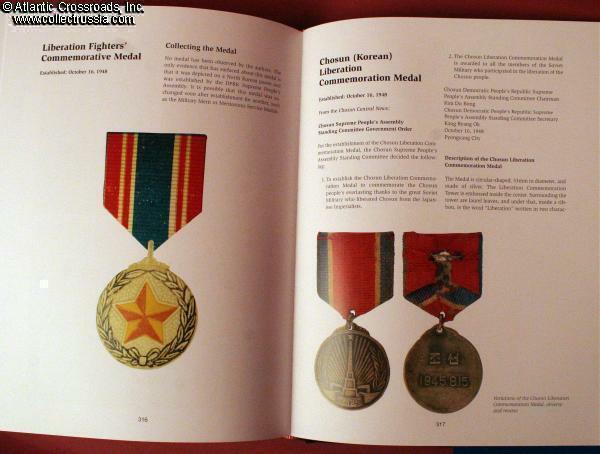 This is destined to become the standard reference work for collectors of North Korean orders and medals in much the same way that McDaniel and Schmitt's "The Comprehensive Guide to Soviet Orders and Medals" became the Bible for collectors of Soviet medals and decorations. 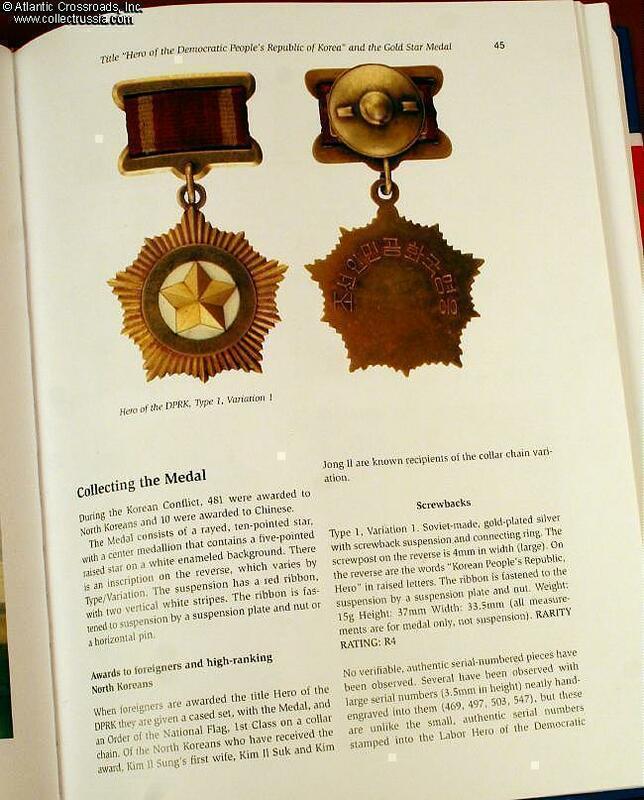 And not just collectors but military historians will find this book an invaluable resource - finally there is a reference book in English that enables us to decipher the profusion of mysterious awards appearing in newsreels and press photos coming out of North Korea. 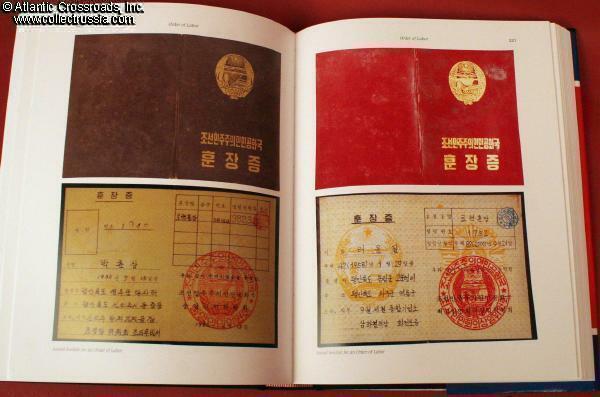 The copy currently available shows overall scuffing to the dust jacket and very minor shelf wear to the page edges. The book is not "shaken", however, and the binding is still tight and completely sound. 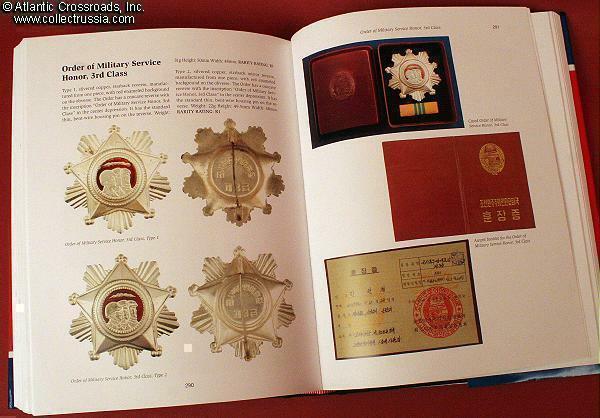 Over 1000 high resolution close-up color photos of the obverses and reverses of North Korean medals, orders and award documents plus some 60+ black-&-white and color photos of recipients wearing their decorations. 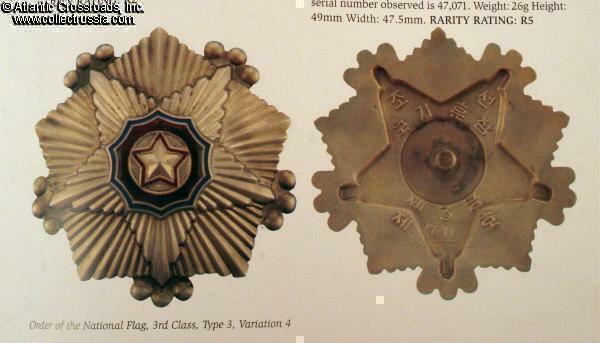 The book contains a trove of factual information and details including: award qualifications, all types and variations of inscriptions and mint marks, serial number styles and ranges, rivets, suspensions and pin back devices, etc. 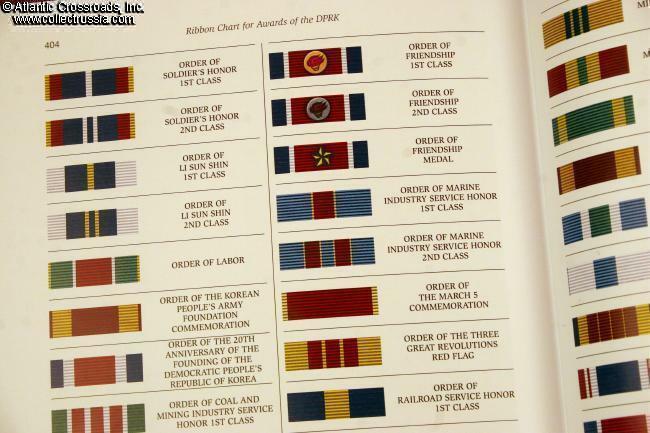 There is also a very handy full color ribbon chart. 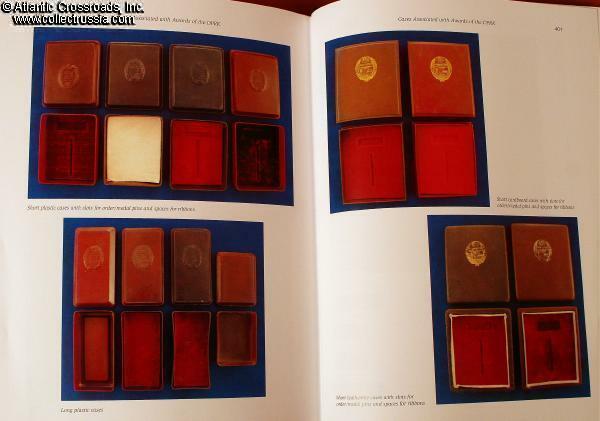 Of utmost importance to collectors, the authors also explain in great detail how to detect fakes. 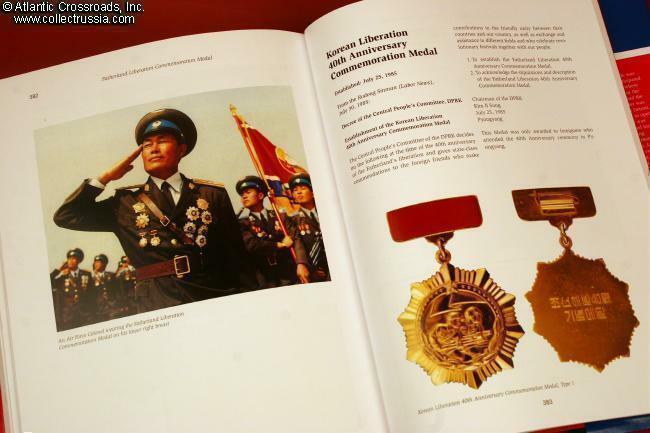 We highly recommend this book as a tremendous value and indispensable resource for any collector or student of the awards of the Democratic People's Republic of Korea. 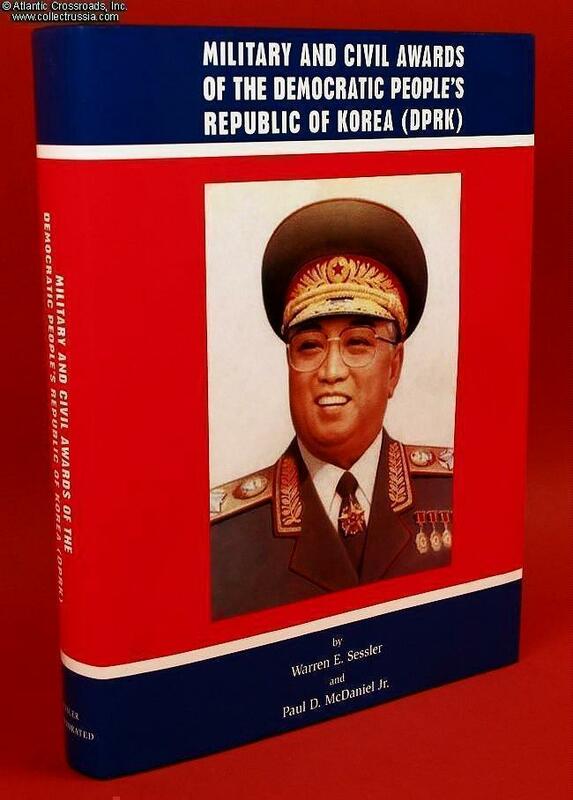 If you've been struggling in the dark trying to collect North Korean medals, rest assured that the depth and reliability of the information contained in this volume will pay for itself many times over.